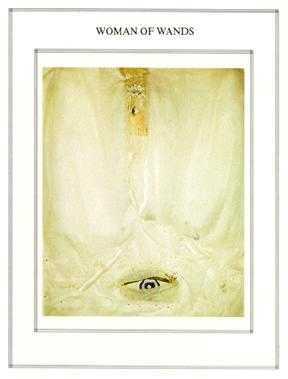 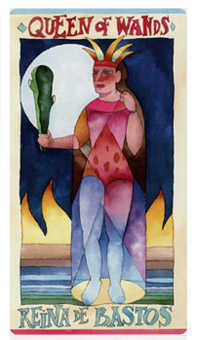 Decisiveness and a willingness to lead produce tangible rewards. 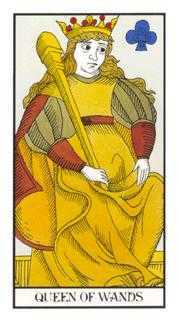 This suit, most often called "Wands" and sometimes called "Rods" or "Staves," represents initiative, ambition, drive and desire. 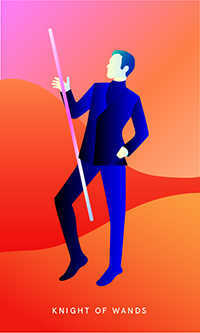 This is the suit of enterprise and risk-taking. 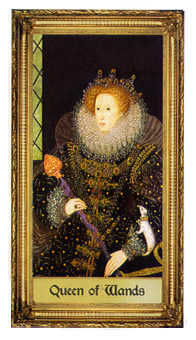 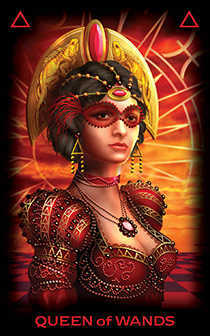 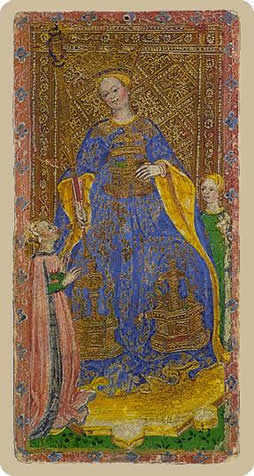 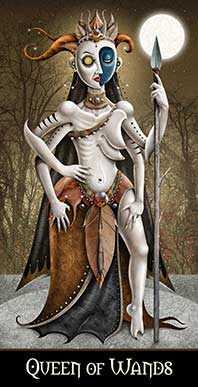 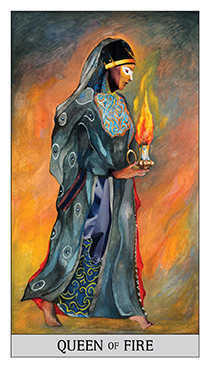 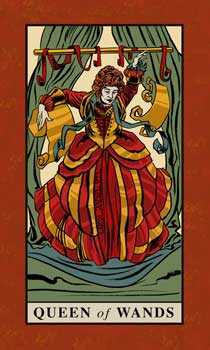 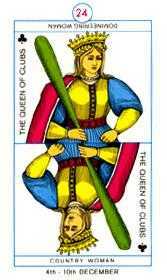 Traditionally, representing the energy of a Queen, this woman represents the natural manager, whose gift is to inspire teamwork and divvy up tasks. 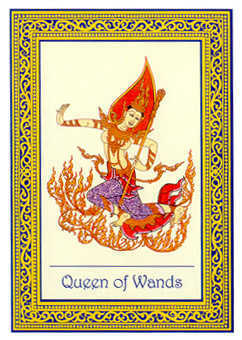 She is the one who sees ensures everything runs smoothly. 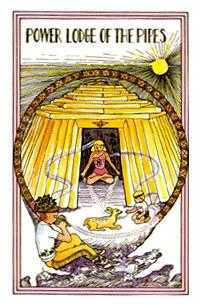 She'll be sweating in the sun along with her family or crew, inspiring everybody to keep up and supporting morale with her infectious energy. 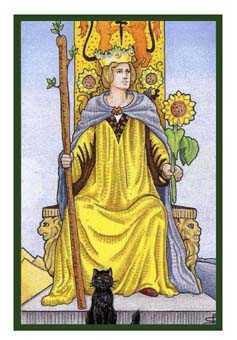 She is the best kind of manager to have, because she is like a challenging but encouraging mother, who knows you have it in you. 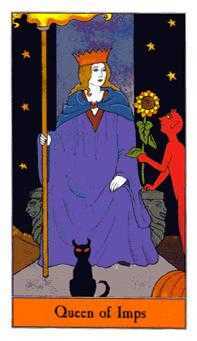 She believes in her charges and they work hard to please her. 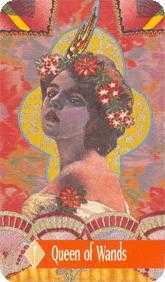 She is not, however, sentimental. 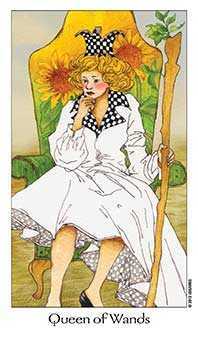 Like a good farmer, she views her crops, her animals, even the people who work for her, as necessary resources for the achievement of the higher goal. 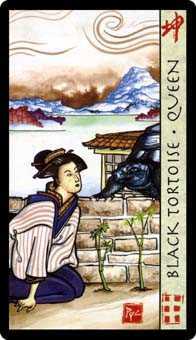 If any aspect is no longer productive or cost-effective, she can let them go without a second thought. 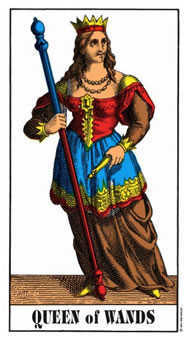 Do not look to her for sympathy. 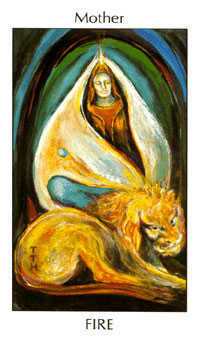 Realize you are not in the leadership role right now. 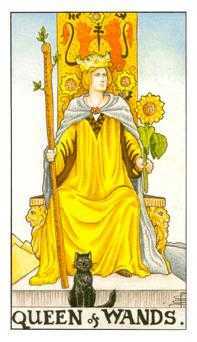 Concentrate on a more supportive role that promotes the overall objectives. 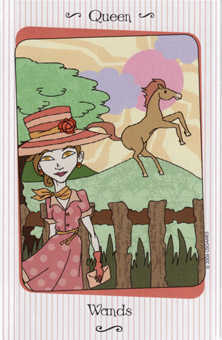 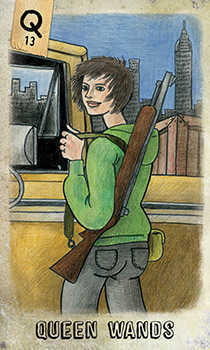 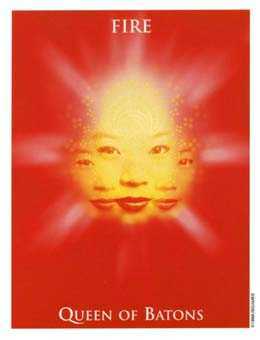 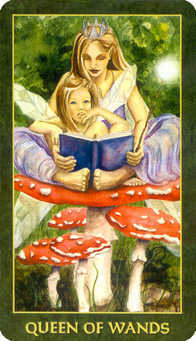 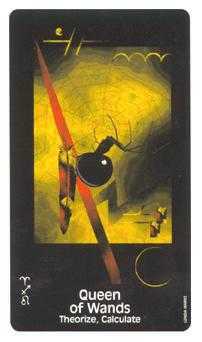 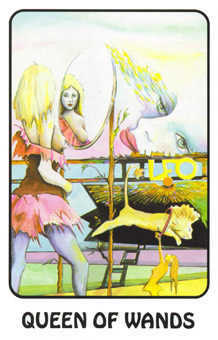 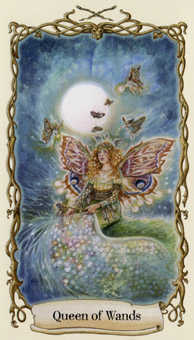 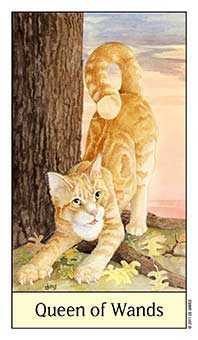 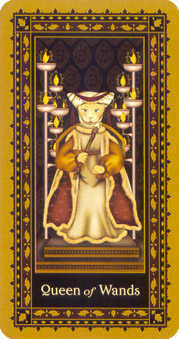 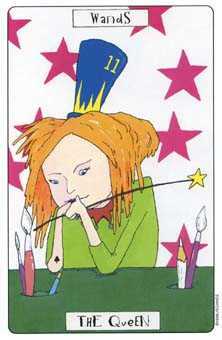 The card in the Advice position suggests a course of action which will harmonize what you want with what is currently possible. 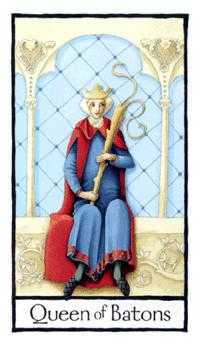 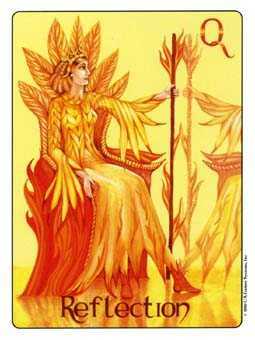 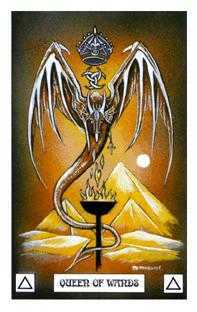 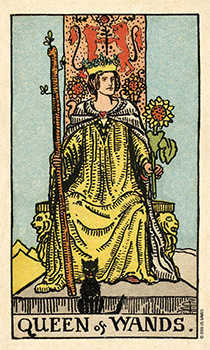 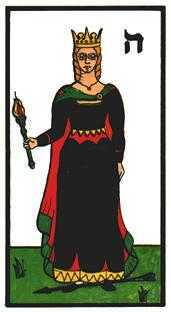 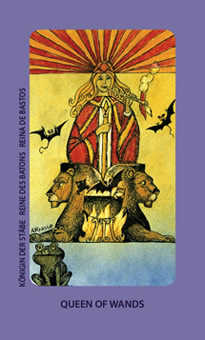 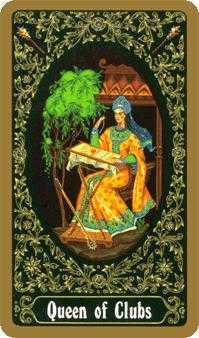 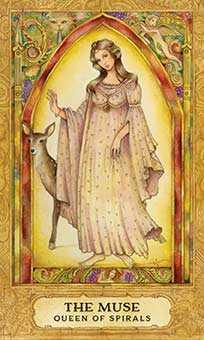 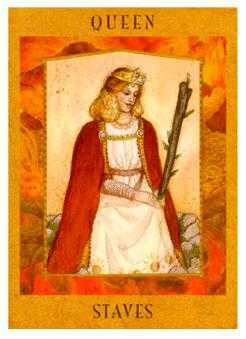 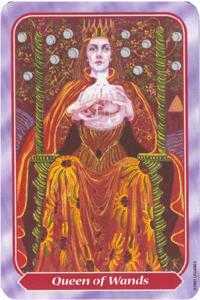 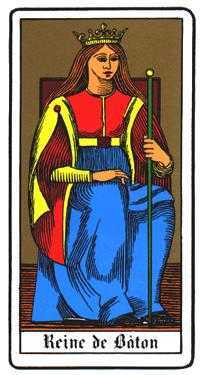 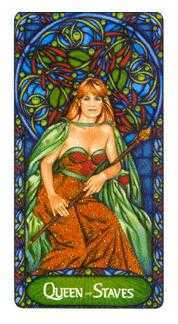 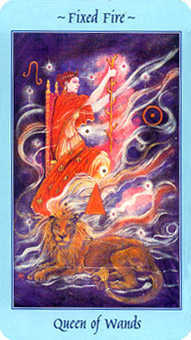 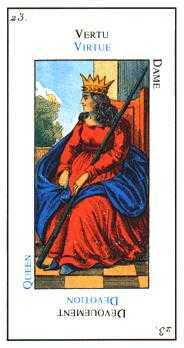 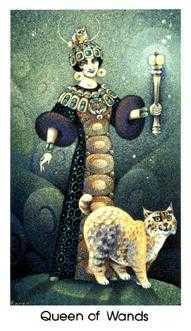 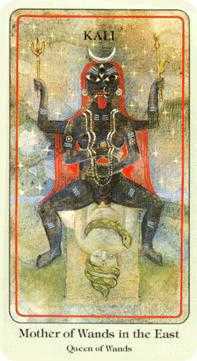 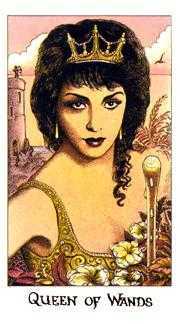 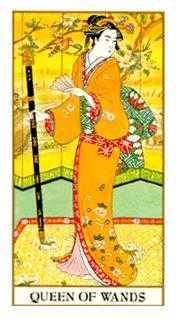 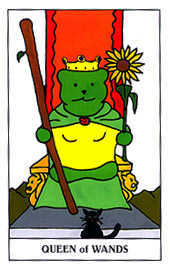 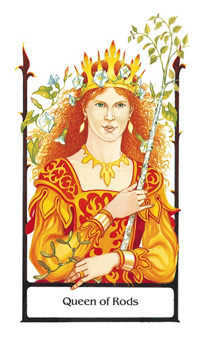 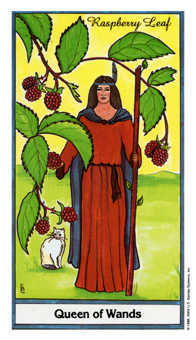 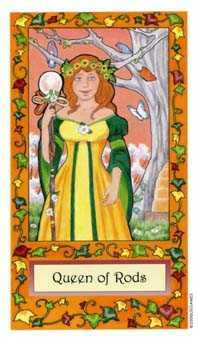 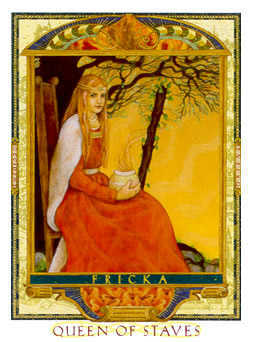 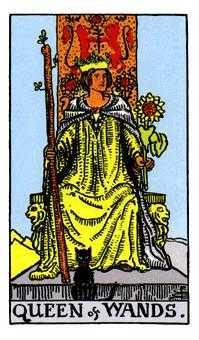 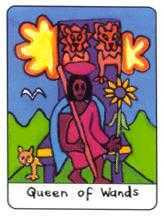 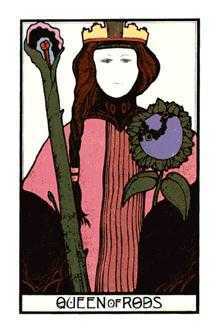 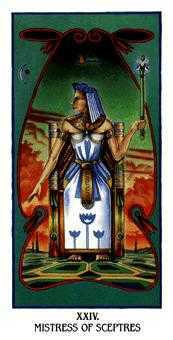 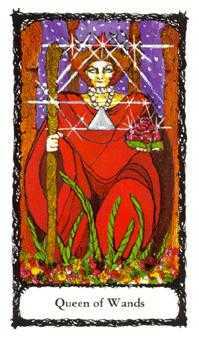 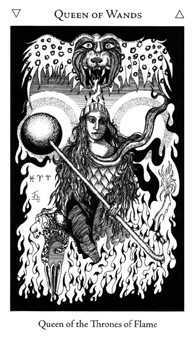 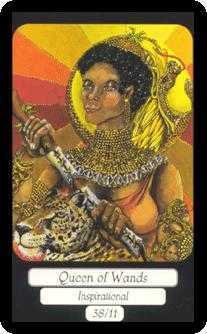 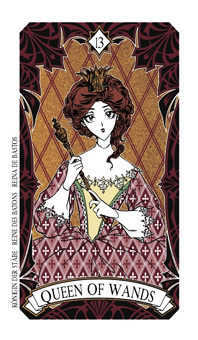 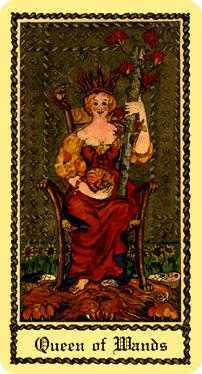 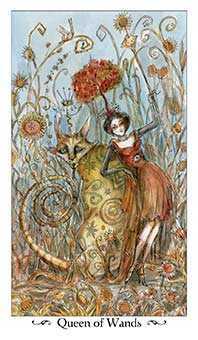 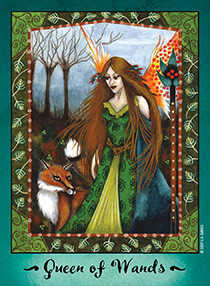 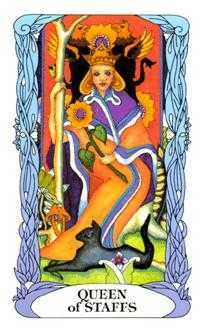 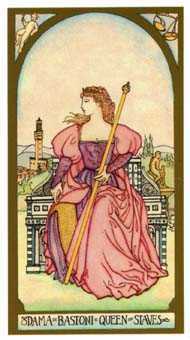 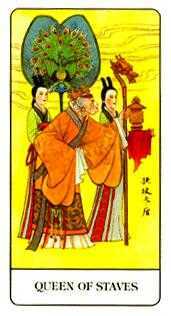 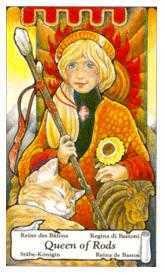 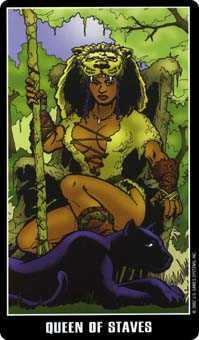 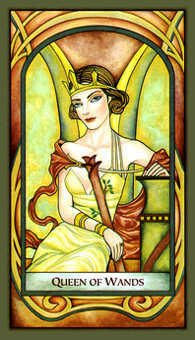 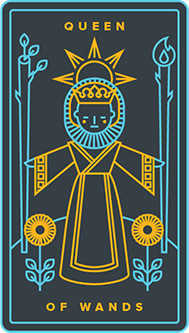 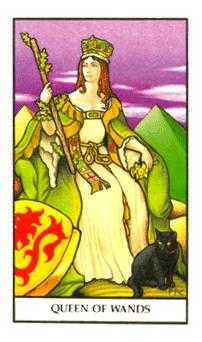 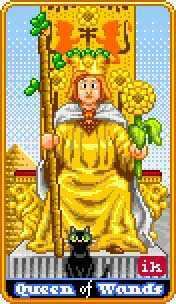 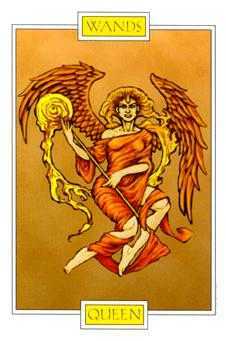 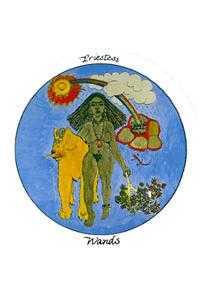 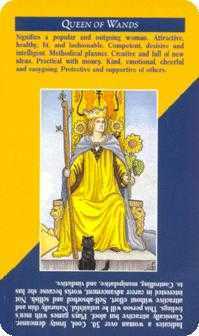 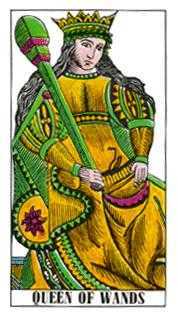 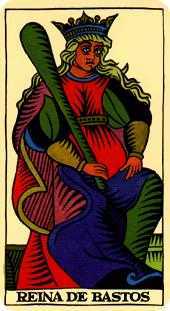 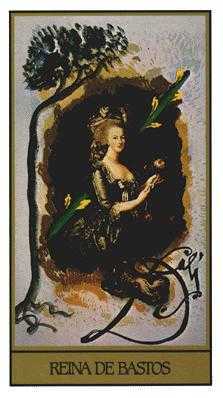 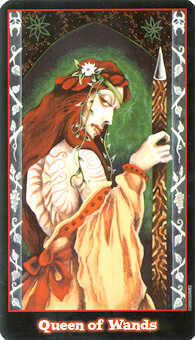 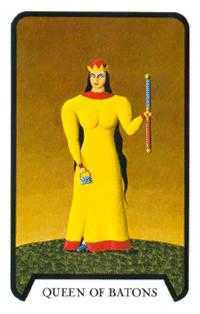 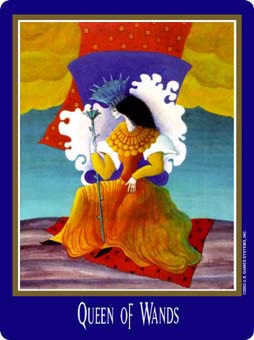 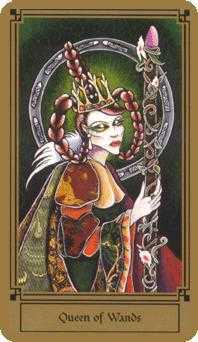 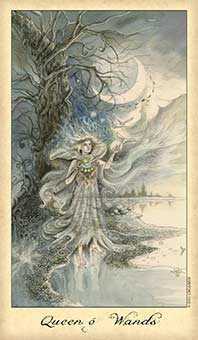 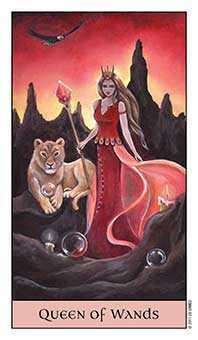 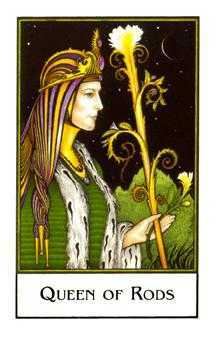 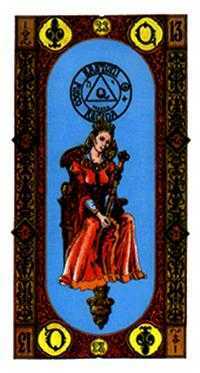 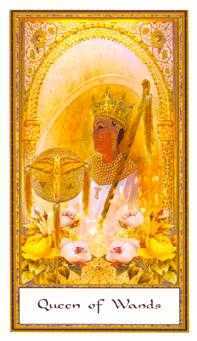 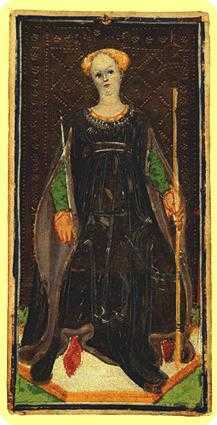 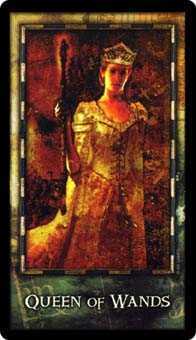 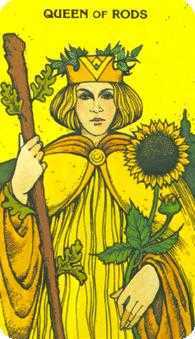 The Queen of Wands in this position reveals a need to hold your place in the chain of command and respect the hierarchy (at least for now). 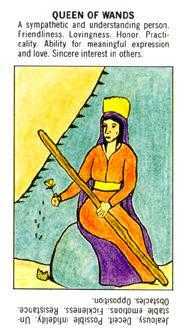 This may not be a time for you to be at the helm, even if you are motivated by a strong dedication to completing a project or overcoming a challenge. 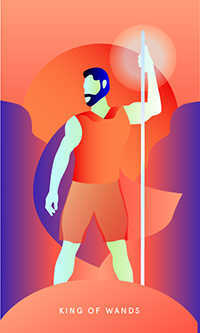 A perceived deficiency in leadership may make you want to take hold of the reins, but don't do it! 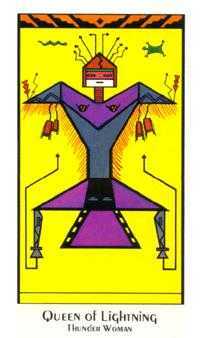 Restrain yourself and remain loyal to your higher-ups. 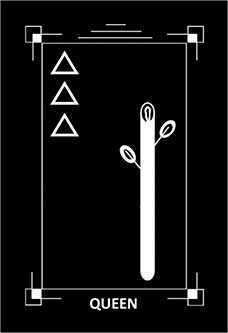 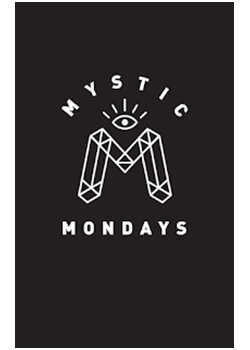 Stay focused and energetic. 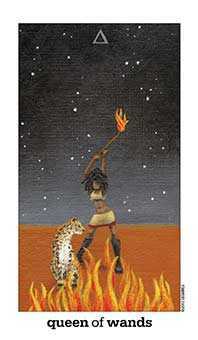 Enthusiastically confront the challenges directly in front of you. 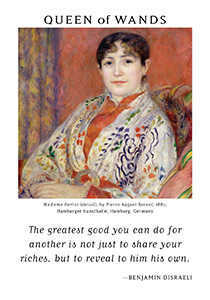 Perform in good faith and encourage others to do the same.